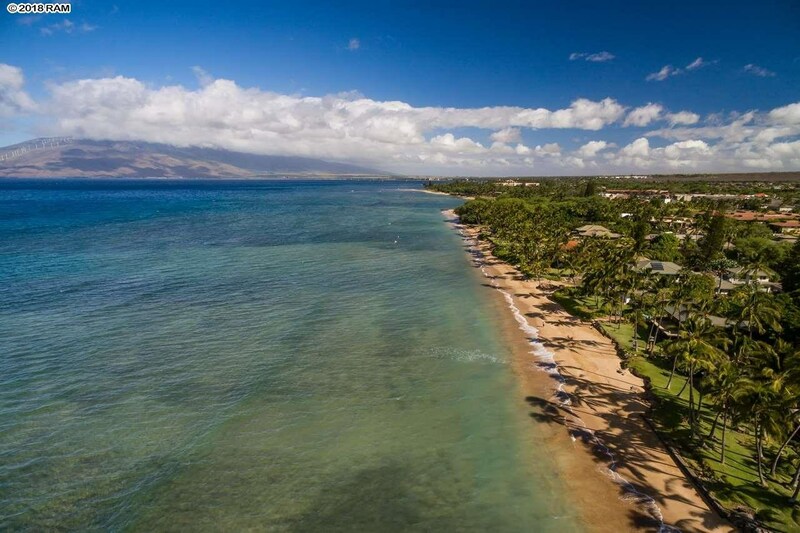 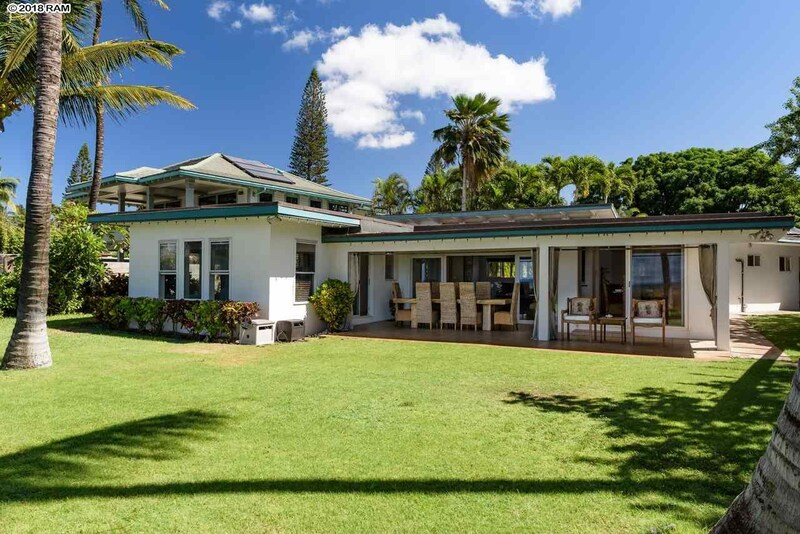 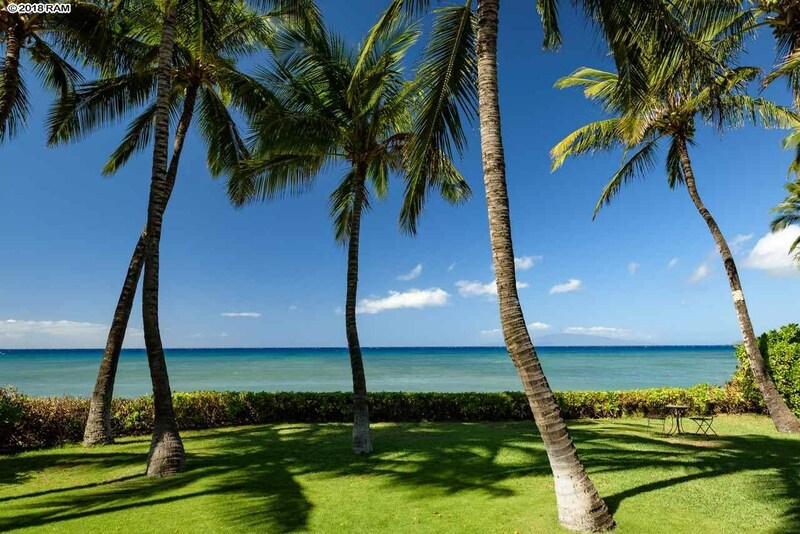 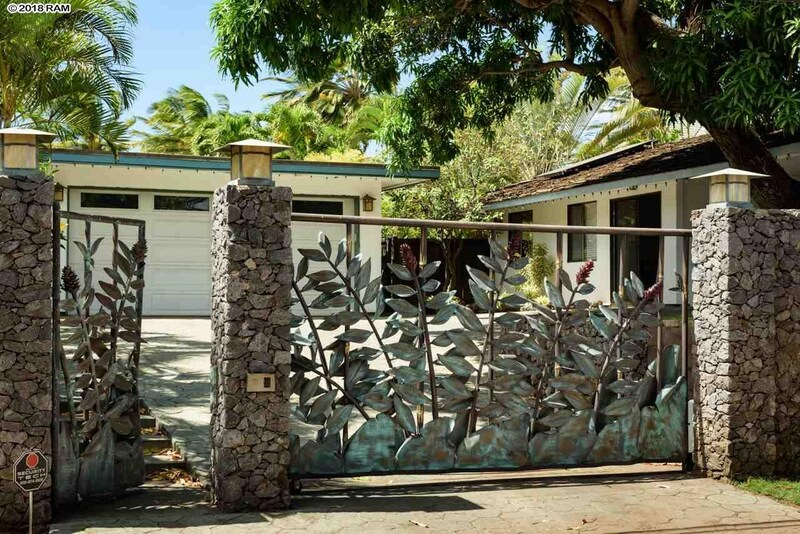 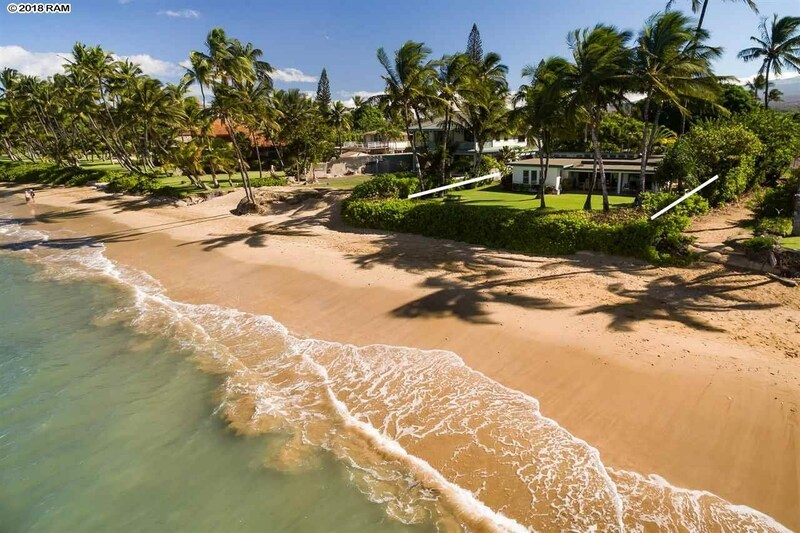 Remarks: Situated on Maui’s South/West leeward coastline, in the resort climate zone,Â known for its dependable fabulous weather, Halama Street is a revered oceanfront neighborhood. 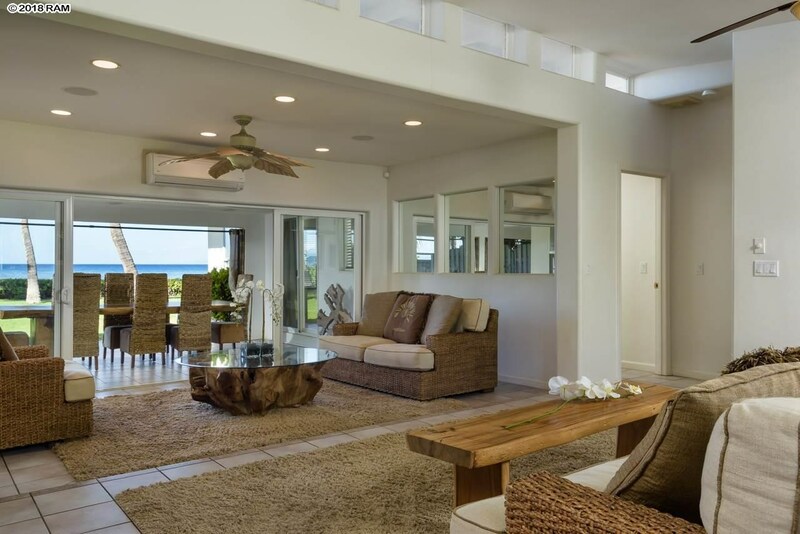 Over the past twenty years many of the older properties have been renovated or replaced by new oceanfront homes. 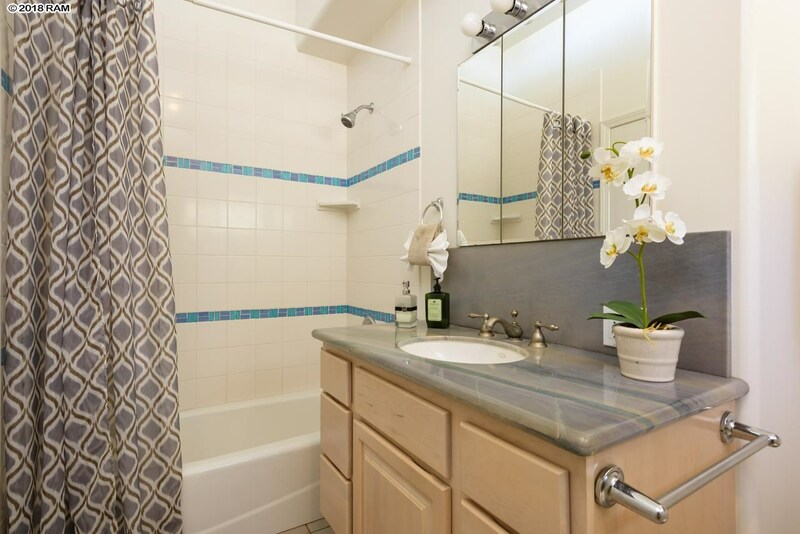 On most mornings there are walkers, joggers, & bicyclists enjoying this quiet residential corridor. 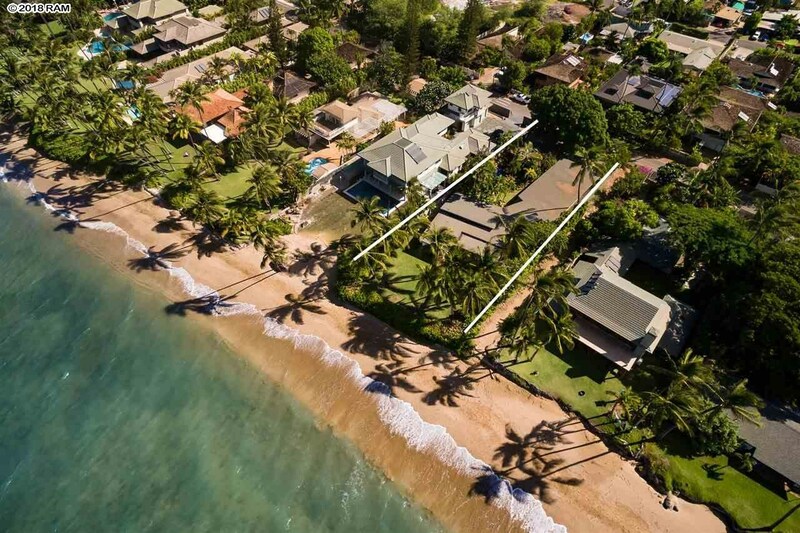 Almost every imaginable amenity is nearby, yet the privacy that these gated oceanfront homes enjoy is second to none. 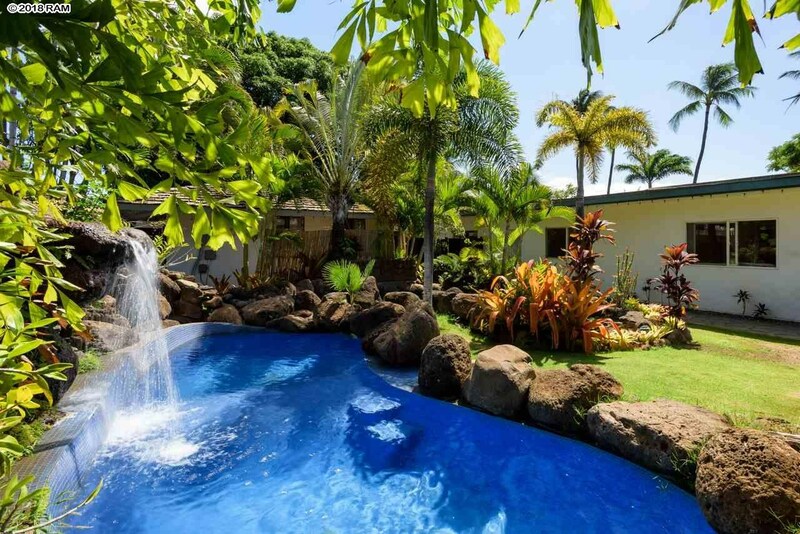 As you enter through the custom, hand-made, stainless steel & copper electronic floral gates, surrounded by the six-foot high blue rock privacy walls, you experience a sense of tranquility at this property.The stamped concrete motor court & defined pathways lead to a lushly landscaped center courtyard, with waterfalls, water lily & Koi ponds, & a tiled dipping pool. 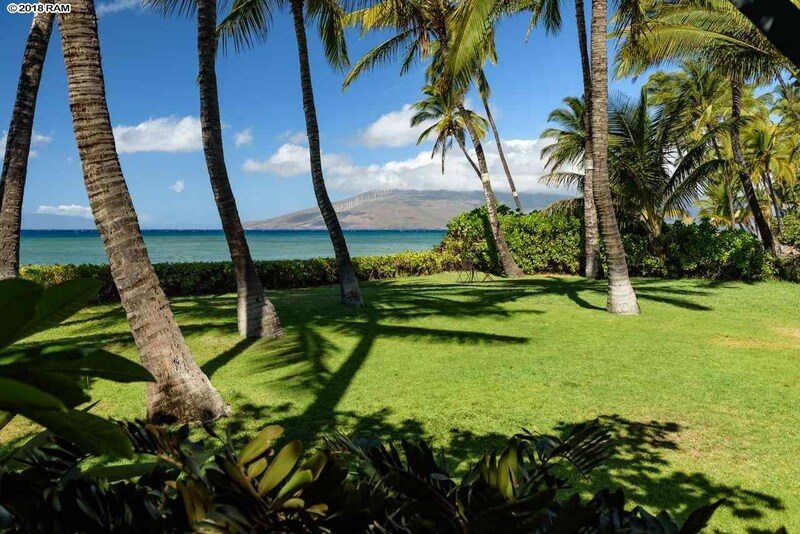 ThisÂ is the Maui you dream about. 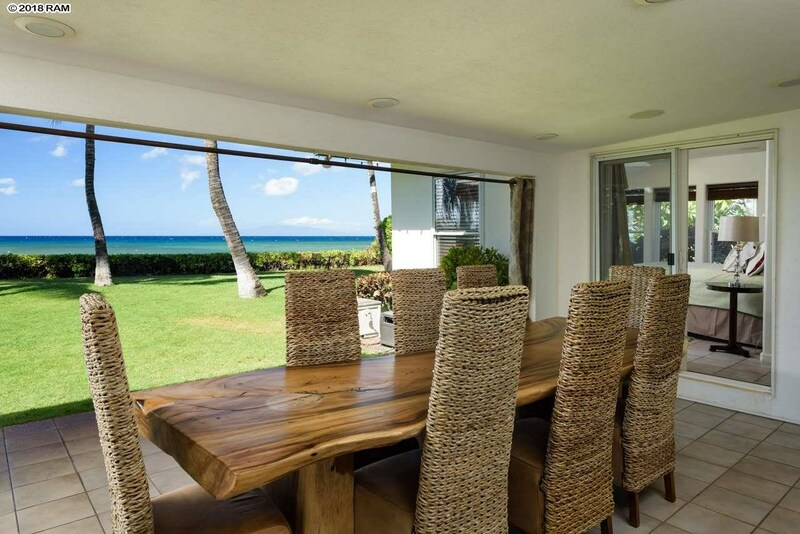 Looking through the wood & glass frontÂ door your eyes focus immediately upon a distant blue horizon, passing white clouds, & the panoramic ocean views. 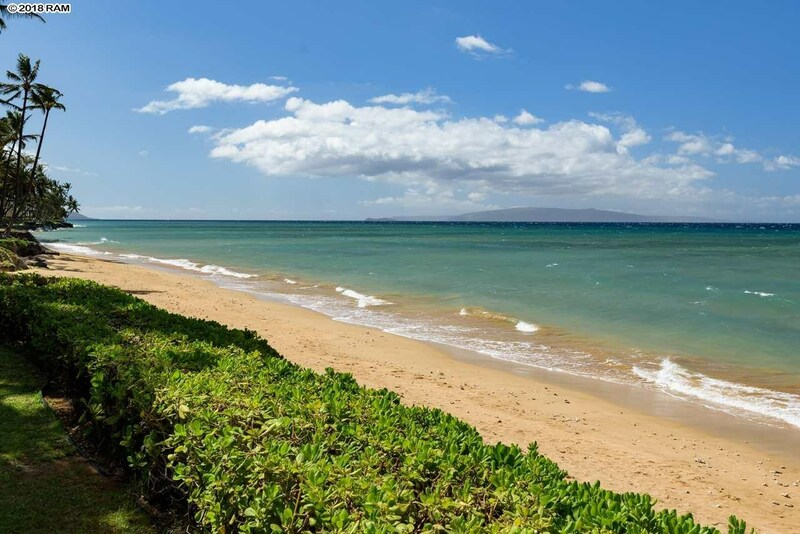 Outer island, iconic views of Molokini Crater, the Islands of Kahoolawe & Lanai, plus the 5700 ft high majestic West Maui Mountains, are equally captivating. 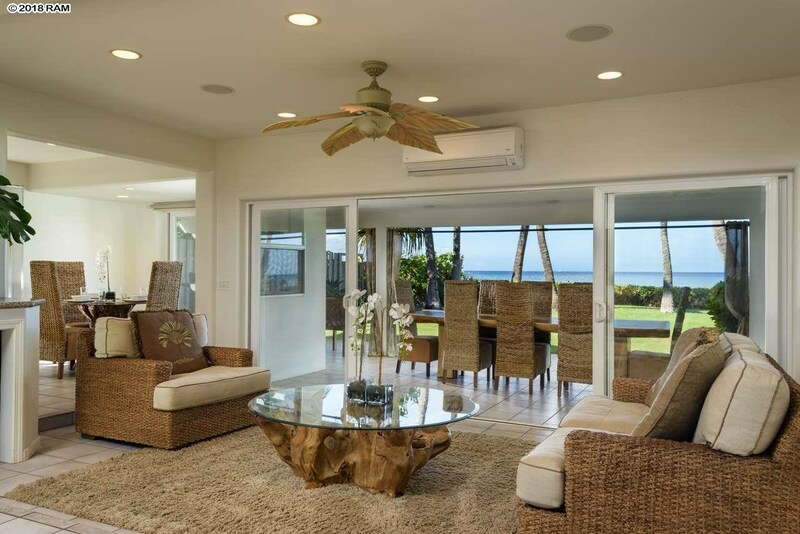 With its abundance of glass sliding walls & windows in every direction this home exemplifies that classic Maui seamless indoor/outdoor lifestyle. 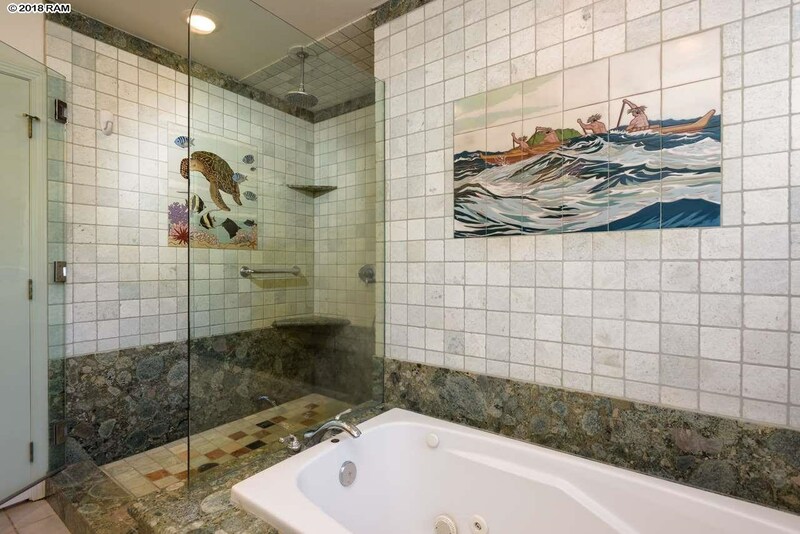 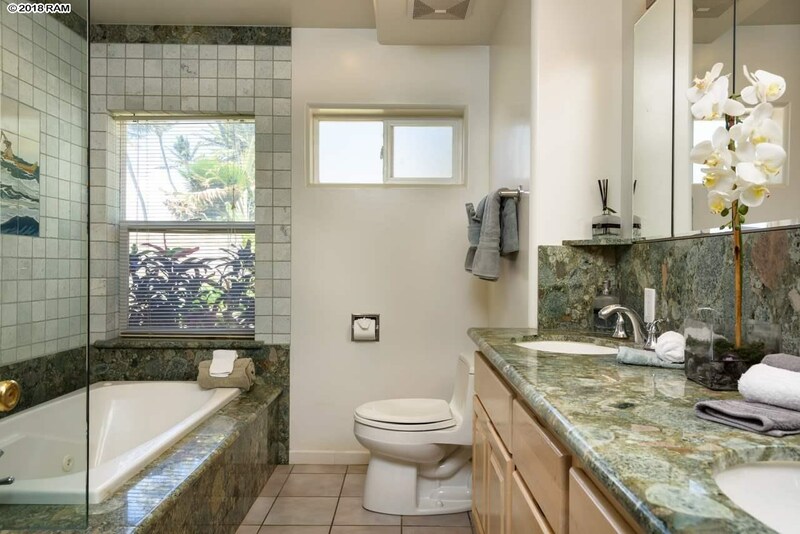 Upgrades abound, including granite counters in the kitchen & baths, tumbled marble back-splashes, tiled floors set on the bias, recessed-lighting, clerestory skylights, split-system air conditioning & locally crafted custom tiled murals. 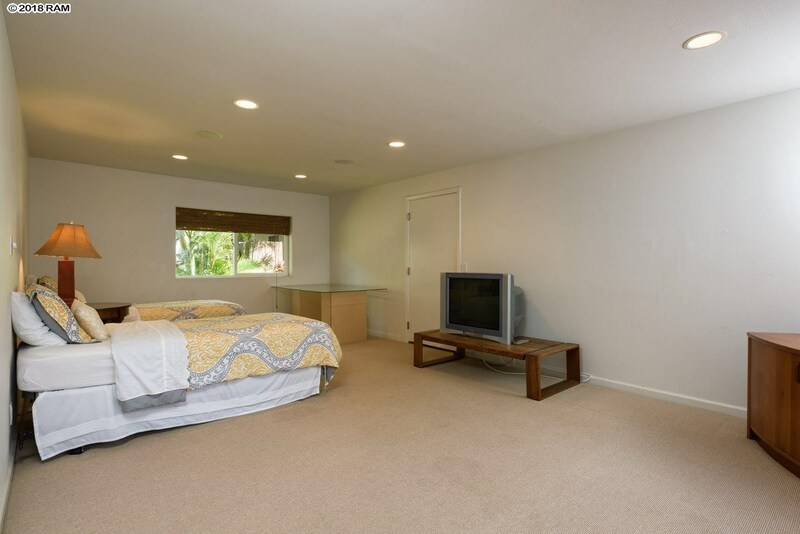 In addition to the 4 bedrooms & 3 baths there is a large bonus room & a den. 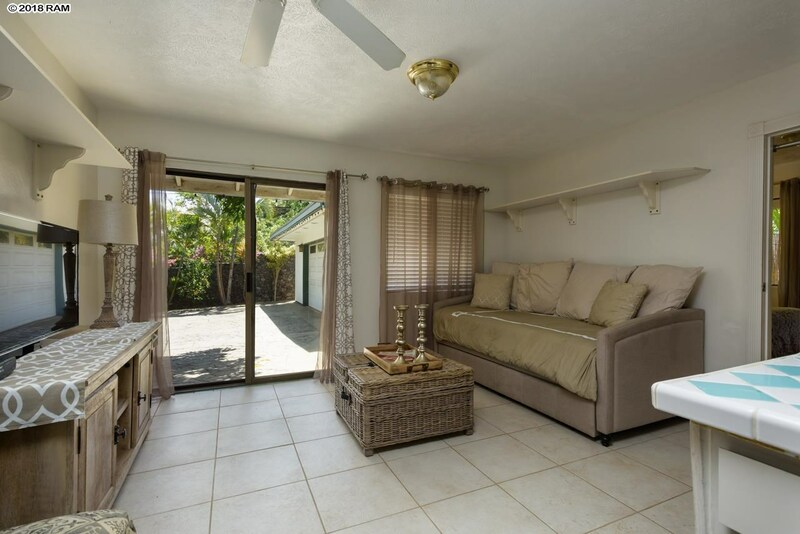 A detached one bedroom, one bath guest cottage with its own covered carport is privately positioned towards the front of the property. 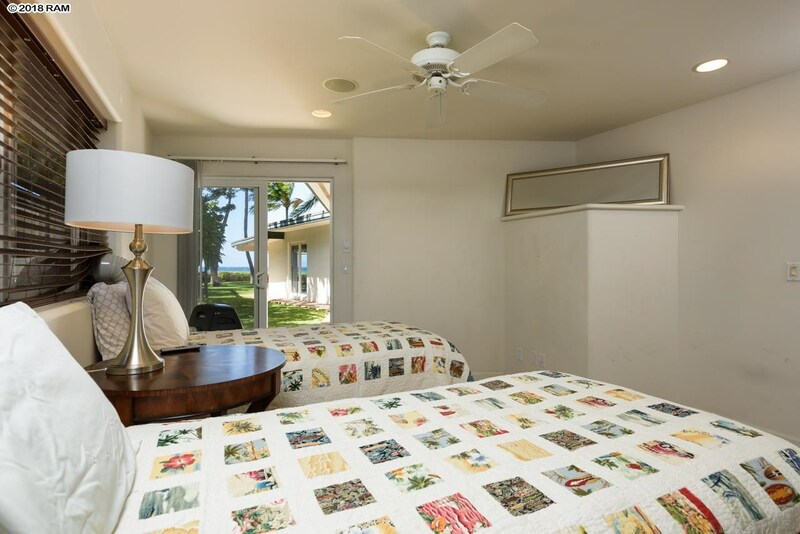 You will enjoy front-row seats for the incredible sunsets! 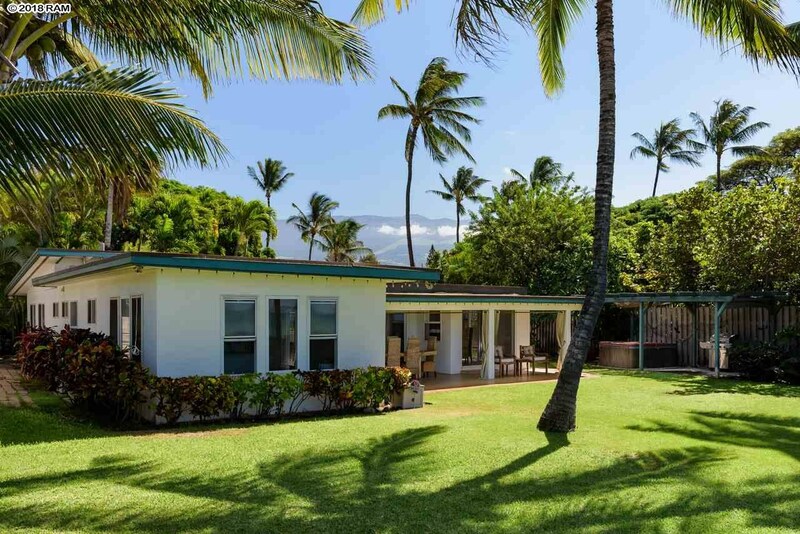 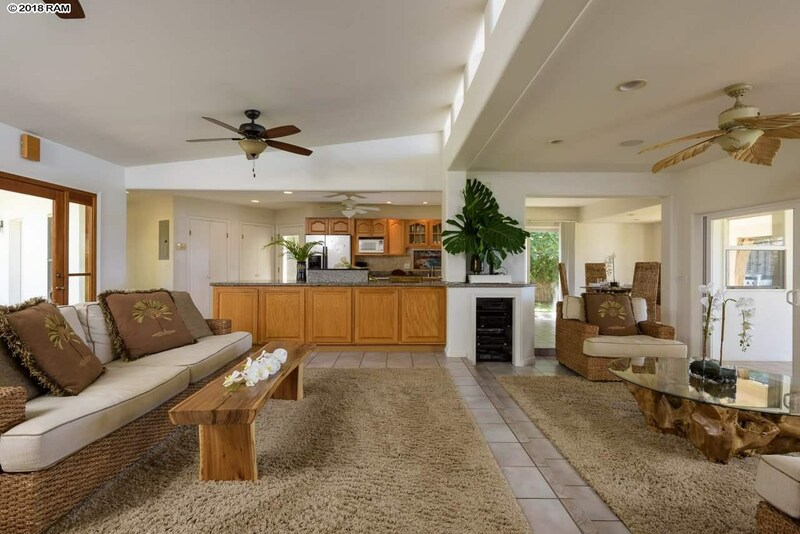 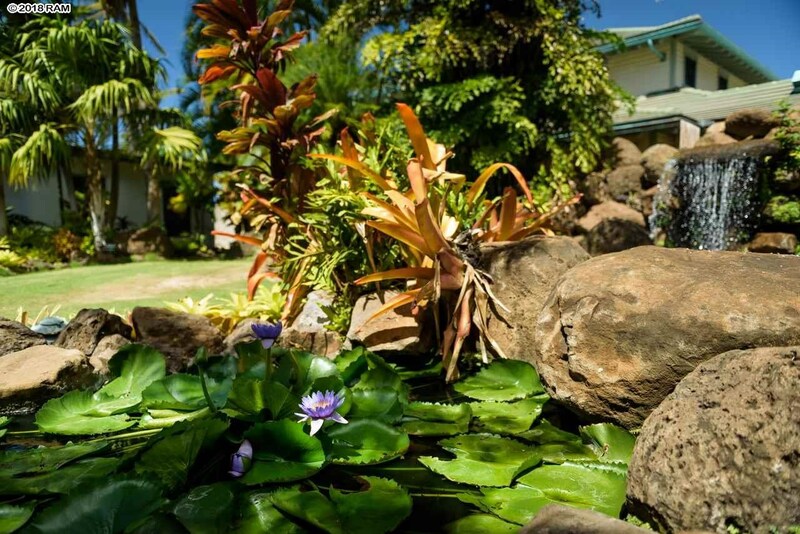 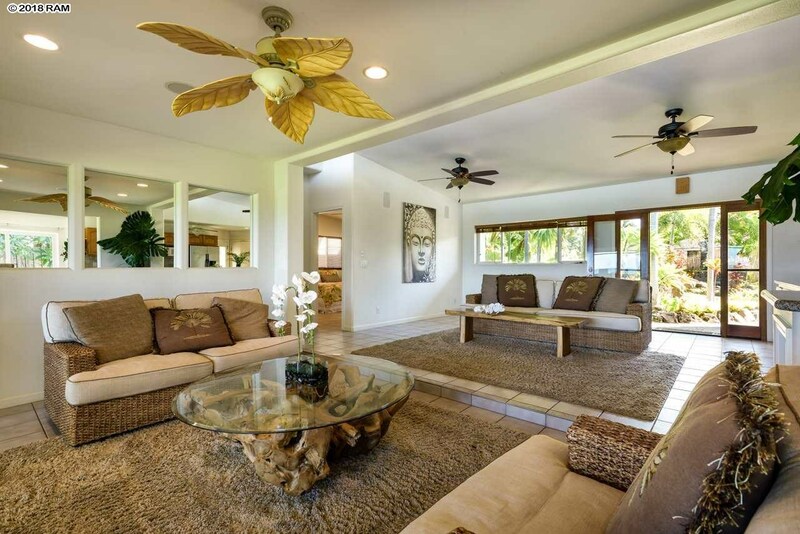 1544 Halama St is a home for sale in Kihei (MLS# 379175). 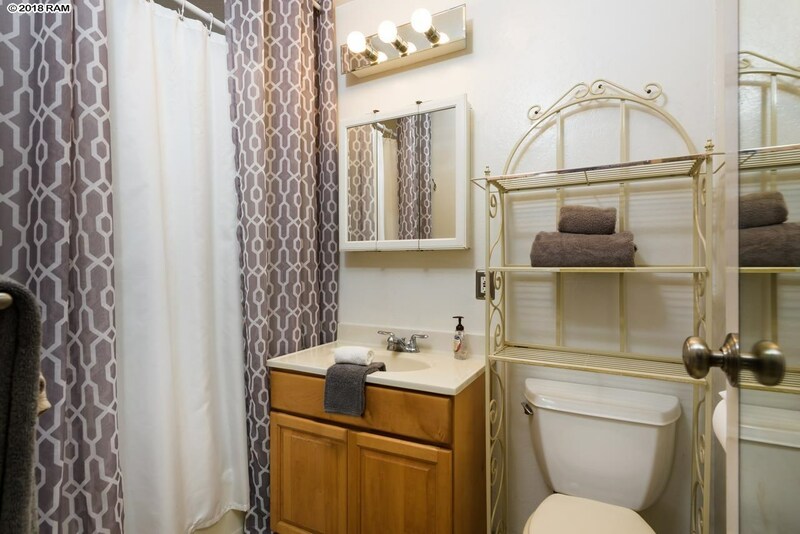 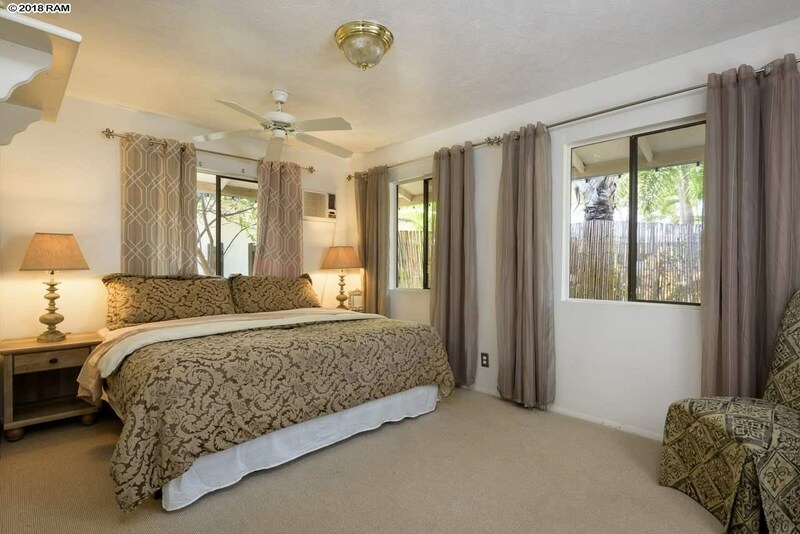 This property features 4 bedrooms, 3 baths, and is 2955 sq ft. 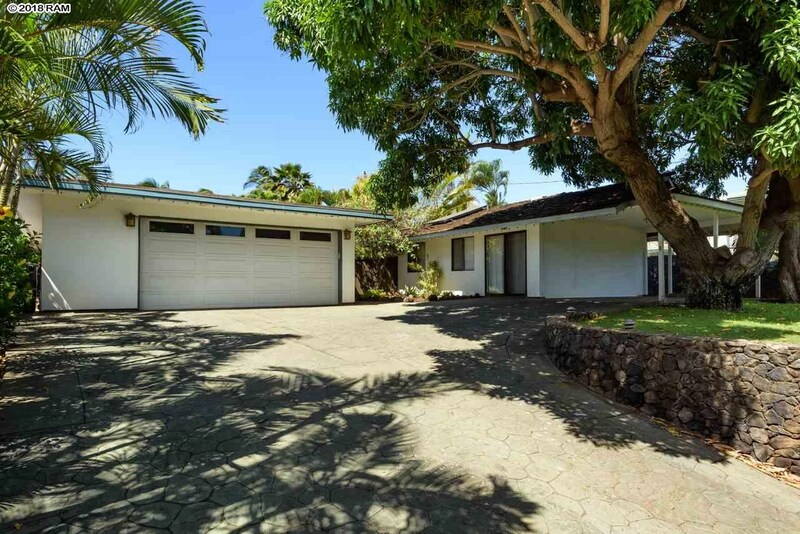 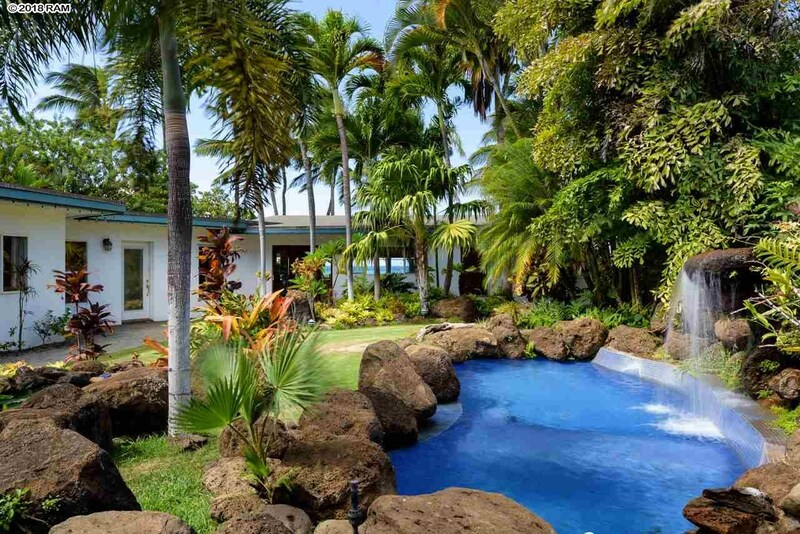 It is currently listed at $3,995,000. 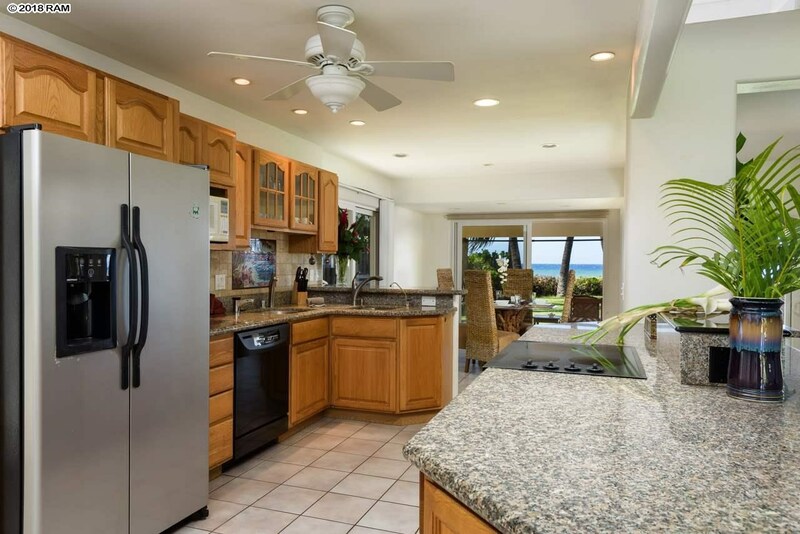 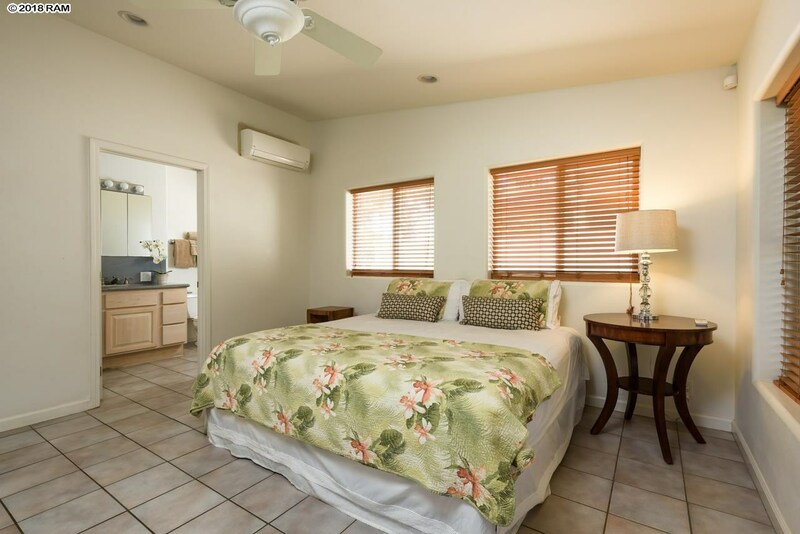 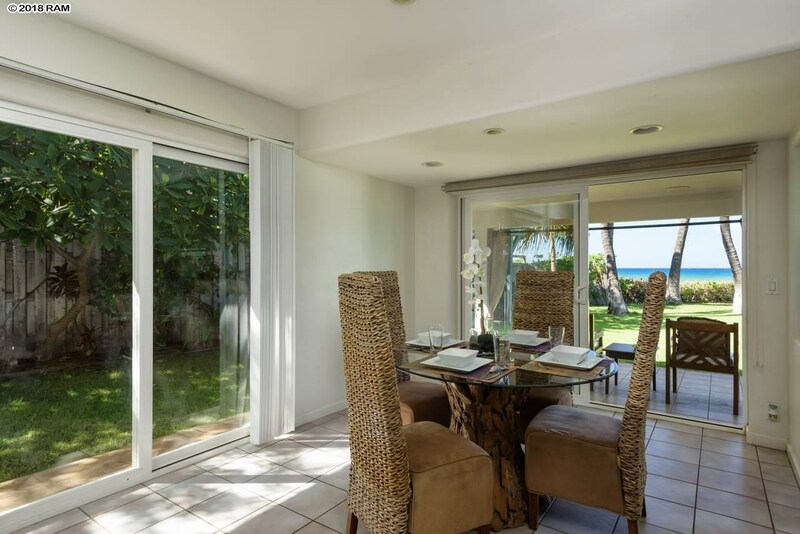 You are viewing the Official Maui MLS® details for the condo for sale at 1544 Halama St, Kihei, HI 96753 – MLS®# 379175.